Reza Ghodssi is the Herbert Rabin Distinguished Chair in Engineering and Director of the MEMS Sensors and Actuators Lab (MSAL) in the Department of Electrical and Computer Engineering (ECE) and the Institute for Systems Research (ISR) at the University of Maryland (UMD). He is also affiliated with the Fischell Department of Bioengineering (BIOE), the Maryland NanoCenter, the University of Maryland Energy Research Center (UMERC), and the Materials Science and Engineering Department (MSE) at UMD. Dr. Ghodssi's research interests are in the design and development of micro/nano/bio devices and systems for chemical and biological sensing, small-scale energy conversion and harvesting with a strong emphasis toward healthcare applications. Dr. Ghodssi was director of the Institute for Systems Research (ISR) for eight years (2009-2017). During this time, he launched a number of interdisciplinary initiatives aimed at enhancing the impact of ISR research efforts on society while building a more interactive faculty, staff and student community across different disciplines in the institute. These efforts include the launch of the Maryland Robotics Center (MRC) targeted at advancing robotic systems, underlying component technologies, and applications of robotics through research and educational programs that are interdisciplinary in nature and based on a systems approach. Dr. Ghodssi is the founding co-director of the Brain and Behavior Initiative (BBI) aiming at revolutionizing the interface between engineers and neuroscientists by generating novel tools and approaches to understand complex behaviors produced by the human brain. Dr. Ghodssi’s continuous efforts in reaching out to alumni and industry colleagues resulted in a large number of industry-sponsored monthly seminar series as well as annual fellowships for graduates students and post-doctoral associates to attend conferences and an active industry-oriented mentoring ecosystem in the Systems Engineering Education program in the institute. Dr. Ghodssi's research has been funded by the National Institutes of Health (NIH), Army Research Office (ARO), National Science Foundation (NSF), and R.W. Deutsch Foundation. He served as a chairman of the MEMS and NEMS Technical Group at the American Vacuum Society (AVS) from 2002 to 2004. Dr. Ghodssi was chair of the 9th International Workshop on Micro and Nanotechnology for Power Generation and Energy Conversion Applications (PowerMEMS 2009) and the 2012 NSF Workshop on Micro, Nano, Bio Systems. He also served as the Americas Technical Program Committee chair of IEEE SENSORS 2010, 2011 and 2012. He chaired the committee for the Denice Denton Emerging Leader ABIE Award sponsored by the Anita Borg Institute for Women and Technology (ABI) and Microsoft from 2007 until 2016. Dr. Ghodssi was also the lead organizer and chair of the inaugural Denice Denton Emerging Leaders Workshop 2016 held in Madison, Wisconsin, focused on helping mid-career faculty (women and men) develop knowledge, skills, strategies, and critical networks. Dr. Ghodssi is a University of Maryland Distinguished Scholar-Teacher, a Fellow of IEEE, AVS, and ASME, has over 144 journal publications and 312 refereed conference papers, and is the co-editor of the MEMS Materials and Processes Handbook published in 2011. He is an associate editor for the Journal of Microelectromechanical Systems (JMEMS) and Biomedical Microdevices (BMMD). He has obtained eight U.S. patents, with another seven pending. 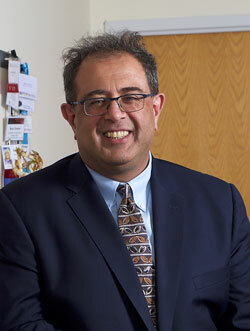 Dr. Ghodssi received the 2001 UMD George Corcoran Award, the 2002 National Science Foundation CAREER Award, and the 2003 UMD Outstanding Systems Engineering Faculty Award. He was among 100 of the nation's outstanding engineers invited to attend the National Academy of Engineering (NAE) U.S. Frontiers of Engineering Symposium in 2007 and the National Academy of Engineering (NAE) EU-U.S. Frontiers of Engineering Symposium in 2010. Dr. Ghodssi was the co-founder of the MEMS Alliance in the greater Washington area and is a member of the MRS, ASEE and AAAS societies. Design and development of microfabrication technologies and processes in micro/nano/bio devices and systems for chemical and biological sensing, small- scale energy conversion and harvesting with a strong emphasis toward healthcare applications. T. E. Winkler, F. O. Stevenson, E. Kim, M. Kang, G. F. Payne, D. L. Kelly, and R. Ghodssi,"The Role of Microsystems Integration Towards Point-of-Care Clozapine Treatment Monitoring in Schizophrenia," IEEE Sensors Letters, vol. 2, no. 1 (4pp. ), March 2018. S. Subramanian, E. I. Tolstaya, T. E. Winkler, W. E. Bentley and R. Ghodssi, "An Integrated Microsystem for Real-Time Detection and Threshold-Activated Treatment of Bacterial Biofilms," ACS Applied Materials and Interfaces, vol. 9, no. 37, pp. 31362-31371, August 2017. G. E. Banis, T. Winkler, P. Barton, S. E. Chocron, E. Kim, D. L. Kelly, G. F. Payne, H. Ben-Yoav, and R. Ghodssi, "The Binding Effect of Proteins on Medications and Its Impact on Electrochemical Sensing: Antipsychotic Clozapine as a Case Study," Pharmaceuticals, vol. 10, no. 69 (12pp. ), August 2017. H. Jung, K. Gerasopoulos, A. A. Talin, and R. Ghodssi, "A platform for in situ Raman and stress characterizations of V2O5 cathode using MEMS device," Electrochimica Acta, vol. 242, pp. 227-239, July 2017. F. Zang, S. Chu, K. Gerasopoulos, J. Culver, and R. Ghodssi, "Biofabrication of Tobacco mosaic virus-nanoscaffolded supercapacitors via temporal capillary microfluidics," Nanotechnology, vol. 28, no. 26 (9pp. ), June 2017. T. E. Winkler, S. Lederer, E. Kim, H. Ben-Yoav, D. L. Kelly, G. F. Payne, and R. Ghodssi, "Molecular Processes in an Electrochemical Clozapine Sensor," Biointerphases, vol. 12, no. 2, 02B401 (8pp. ), May 2017. M. Kang, E. Kim, T. E. Winkler, G. Banis, Y. Liu, C. Kitchen, D. L. Kelly, R. Ghodssi, and G. F. Payne, "Reliable Clinical Serum Analysis with Reusable Electrochemical Sensor: Toward Point-of-Care Measurement of the Antipsychotic Medication Clozapine," Biosensors and Bioelectronics, vol. 95, pp. 55-59, April 2017. T. E. Winkler, R. Dietrich, H. Ben-Yoav, E. Kim, D. L. Kelly, G. F. Payne, and R. Ghodssi, "The Interplay of Electrode- and Bio-Materials in a Redox Cycling-based Clozapine Sensor," Electrochemistry Communications, vol. 79, pp. 33-36, April 2017. F. Zang, K. Gerasopoulos, A. D. Brown, J. N. Culver and R. Ghodssi, "Capillary microfluidics-assembled virus-like particle bio-nano-receptor interfaces for label-free biosensing," ACS Applied Materials & Interfaces, vol. 9, no. 10, pp. 8471-8479, February 2017. H. Jung, K. Gerasopoulos, A. A. Talin, and R. Ghodssi, "In situ characterization of charge rate dependent stress and structure changes in V2O5 cathode prepared by atomic layer deposition," Journal of Power Sources, vol. 340, pp. 89-97, February 2017. E. Kim, T. E. Winkler, C. Kitchen, M. Kang, G. Banis, W. E. Bentley, D. L. Kelly, R. Ghodssi, and G. F. Payne, "Redox Probing for Chemical Information of Oxidative Stress," Analytical Chemistry, vol. 89, No. 3, pp. 1583-1592, December 2016. E. Kim, Y. Liu, H. Ben-Yoav, T. E. Winkler, K. Yan, X. Shi, J. Shen, D. L. Kelly, R. Ghodssi, W. E. Bentley, and G. F. Payne, "Fusing Sensor Paradigms to Acquire Chemical Information: An Integrative Role for Smart Biopolymeric Hydrogels," Advanced Healthcare Materials, pp. 2595-2616, 2016. S. Chu, K. Gerasopoulos, and R. Ghodssi, "Tobacco mosaic virus-templated hierarchical Ni/NiO with high electrochemical charge storage performances," Electrochimica Acta, vol. 220, pp. 184-192, October 2016. S. Subramanian, K. Gerasopoulos, Min Guo, H. O. Sintim, W. E. Bentley and R. Ghodssi, "Autoinducer-2 Analogs and Electric Fields: An Antibiotic-Free Bacterial Biofilm Treatment," Biomedical Microdevices, vol. 18, no. 95, (12pp. ), September 2016. T. E. Winkler, H. Ben-Yoav, and R. Ghodssi, "Hydrodynamic Focusing for Microfluidic Impedance Cytometry: A System Integration Study," Microfluidics and Nanofluidics, vol. 20, no. 134, (14pp. ), 2016. F. Zang, K. Gerasopoulos, X. Z. Fan, A. D. Brown, J. N. Culver and R. Ghodssi, "Real-time Monitoring of Macromolecular Biosensing Probe Self-assembly and On-chip ELISA using Impedimetric Microsensors," Biosensors and Bioelectronics, vol. 81, pp. 401-407, March 2016. Y. W. Kim, M. T. Meyer, A. Berkovich, S. Subramanian, A. A. Iliadis, W. E. Bentley, and R. Ghodssi, "A Surface Acoustic Wave Biofilm Sensor Integrated With A Treatment Method Based On The Bioelectric Effect," Sensors and Actuators A: Physical, vol. 238, pp. 140-149, February 2016. Y. W. Kim, M. P. Mosteller, S. Subramanian, M. T. Meyer, W. E. Bentley, and R. Ghodssi, "An Optical Microfluidic Platform for Spatiotemporal Biofilm Treatment Monitoring," Journal of Micromechanics and Microengineering, vol. 26, pp. 015013 (12pp), December 2015. M. Mosteller, M. Austin, S. Yang, and R. Ghodssi, "Platforms for Engineering Biomedical Experiments," IEEE Systems Journal,vol. 9, no. 4, pp. 1218-1228, December 2015. Y. W. Kim, S. Subramanian, K. Gerasopoulos, H. Ben-Yoav, H. C. Wu, D. Quan, K. Carter, M. Meyer, W. Bentley, and R. Ghodssi, "Effect of electrical energy on the efficacy of biofilm treatment using the bioelectric effect," npj Biofilms and Microbiomes, vol. 1, pp. 15016 (8pp), September 2015. M. T. Meyer, S. Subramanian, Y. W. Kim, H. Ben-Yoav, M. Gnerlich, K. Gerasopoulos, W. E. Bentley, and R. Ghodssi, "Multi-depth valved microfluidics for biofilm segmentation," Journal of Micromechanics and Microengineering, vol. 25, pp. 095003 (10pp), August 2015. X. Z. Fan, L. Naves, N. P. Siwak, A. Brown, J. Culver, and R. Ghodssi, "Integration of genetically modified virus-like-particles with an optical resonator for selective bio-detection," Nanotechnology, vol. 26, pp. 205501 (9pp), April 2015. J. Feldman, B. M. Hanrahan, S. Misra, X. Z. Fan, C. M. Waits, P. D. Mitcheson, and R. Ghodssi, "Vibration-based diagnostics for Rotary MEMS," Journal of Microelectromechanical Systems, vol. 24, pp. 289-300, April 2015. J. N. Culver, A. D. Brown, F. Zang, M. Gnerlich, K. Gerasopoulos, and R. Ghodssi, "Plant Virus Directed Fabrication of Nanoscale Materials and Devices," Virology, vol. 479-480, pp. 200-212, March 2015. B. Hanrahan, S. Misra, C. M. Waits, and R. Ghodssi, "Wear Mechanisms in Microfabricated Ball Bearing Systems," Wear, vol. 326-327, pp. 1-9, March 2015. N. P. Siwak, X. Z. Fan, and R. Ghodssi, "Fabrication Challenges for Indium Phosphide Microsystems," Journal of Micromechanics and Microengineering, vol. 25, pp. 043001 (14pp), March 2015. M. Gnerlich, H. Ben-Yoav, J. N. Culver, D. R. Ketchum, and R. Ghodssi, "Selective deposition of nanostructured ruthenium oxide using Tobacco mosaic virus for micro-supercapacitors in solid Nafion electrolyte," Journal of Power Sources, vol. 293, pp. 649-656, October 2015. E. Kim, S. E. Chocron, H. Ben-Yoav, T. E. Winkler, Y. Liu, M. Glassman, C. Wolfram, D. L. Kelly, R. Ghodssi, and G. F. Payne, "Programmable "semi-smart" sensor: relevance to monitoring antipsychotics," Advanced Functional Materials, vol. 25, pp. 2156-2165. April 2015. S. E. Chocron, B. M. Weisberger, H. Ben-Yoav, T. E. Winkler, E. Kim, D. L. Kelly, G. F. Payne, and R. Ghodssi, "Multidimensional Mapping Method using an Arrayed Sensing System for Cross-Reactivity Screening," PLOS ONE, vol. 10, pp. e0116310, March 2015. H. Ben-Yoav, S. E. Chocron, T. E. Winkler, E. Kim, D. L. Kelly, G. F. Payne, and R. Ghodssi, “An electrochemical micro-system for clozapine antipsychotic treatment monitoring,” Electrochimica Acta, vol. 163, pp. 260-270, February 2015. E. Kim, Y. Xiong, Y. Cheng, H. -C. Wu, Y. Liu, B. Morrow, H. Ben-Yoav, R. Ghodssi, G. Rubloff, J. Shen, W. E. Bentley, X. Shi, and G. F. Payne, "Chitosan to Connect Biology to Electronics: Fabricating the Bio-Device Interface and Communicating Across this Interface," Polymers, vol. 7, pp. 1-46, 2015. JD. L. Kelly, H. Ben-Yoav, G. F. Payne, T. E. Winkler, S. E. Chocron, E. Kim, V. Stock, G. Vyas, R. C. Love, H. J. Wehring, K. M. Sullivan, S. Feldman, F. Liu, R. P. McMahon, and R. Ghodssi, "Blood Draw Barriers for Treatment with Clozapine and Development of Point-of-Care Monitoring Device," Clinical Schizophrenia & Related Psychoses, (In Press) 2015..
J. Feldman, B. Hanrahan, S. Misra, C. Waits, P. Mitcheson, and R. Ghodssi, “Vibration-based diagnostics for Rotary MEMS,” Journal of Microelectromechanical Systems, vol. PP, pp. 1-11, January 2015. F. Zang, K. Gerasopoulos, X. Z. Fan, A. D. Brown, J. N. Culver, and R. Ghodssi, "An electrochemical sensor for selective TNT sensing based on Tobacco mosaic virus-like particle binding agents," Chemical Communications, vol. 50, pp. 12977-12980, September 2014. B. Hanrahan, S. Misra, M. Beyaz, J. Feldman, M. Waits, and R. Ghodssi, "An Adhesion-Dominated Rolling Friction Regime Unique to Micro-scale Ball Bearings," Tribology Letters, vol. 56, pp. 215-222, September 2014. H. Ben-Yoav, P. H. Dykstra, W. E. Bentley, and R. Ghodssi, "A controlled microfluidic electrochemical lab-on-a-chip for label-free diffusion-restricted DNA hybridization analysis," Biosensors and Bioelectronics, vol. 64, pp. 579-585, September 2014. H. Ben-Yoav, P. H. Dykstra, T. Gordonov, W. E. Bentley, and R. Ghodssi, "A Microfluidic-based Electrochemical Biochip for Label-free DNA Hybridization Analysis," Journal of Visualized Experiments, iss. 91, pp. e51797(8pp), September 2014. T. Gordonov, E. Kim, Y. Cheng, H. Ben-Yoav, R. Ghodssi, G. Rubloff, J. Yin, G. F. Payne, and W. E. Bentley, "Electronic modulation of biochemical signal generation," Nature Nanotechnology, vol.9, pp. 605-610, July 2014. B. Hanrahan, C. Waits, and R. Ghodssi, "Isotropic Etching Technique for Three-Dimensional Microball Bearing Raceways", Journal of Micromechanics and Microengineering, vol. 24, 015021 (13pp), January 2014. T. E. Winkler, H. Ben-Yoav, S. E. Chocron, E. Kim, D. L. Kelly, G. F. Payne, and R. Ghodssi, "Electrochemical Study of the Catechol-Modified Chitosan System for Clozapine Treatment Monitoring," Langmuir, vol. 30, pp. 14686-14693, November 2014. N. P. Siwak, X. Z. Fan, S. Kanakaraju, C. J. K. Richardson, and R. Ghodssi, "Indium Phosphide-Based Monolithically Integrated PIN Waveguide Photodiode Readout for Resonant Cantilever sensors,”Applied Physics Letters, vol. 105, no. 143102 (4pp), October 2014. H. Ben-Yoav, T.E. Winkler, E. Kim, S.E. Chocron, D.L. Kelly, G.F. Payne, and R. Ghodssi, “Redox cycling-based amplifying electrochemical biosensor for in situ clozapine antipsychotic treatment monitoring,” Electrochimica Acta, vol. 130, pp. 497-503, March 2014. E. Pomerantseva, H. Jung, M. Gnerlich, S. Baron, K. Gerasopoulos, and R. Ghodssi, "A MEMS platform for in situ, real-time monitoring of electrochemically induced mechanical changes in lithium-ion battery electrodes," Journal of Micromechanics and Microengineering, vol. 23, pp. 114018 (10pp), October 2013. X. Z. Fan, E. Pomerantseva, M. Gnerlich, A. Brown, K. Gerasopoulos, M. McCarthy, J. Culver, and R. Ghodssi, "Tobacco mosaic virus: a biological building block for micro/nano systems," Journal of Vacuum Science and Technology A, vol. 31, pp. 050815-1-24, August 2013 (Invited Paper). R. J. Hergert, B. Hanrahan, R. Ghodssi, and A. S. Holmes, "Performance of integrated retainer rings in silicon micro-turbines with thrust style micro-ball bearings," Journal of Micromechanics and Microengineering, vol. 23, pp. 065033 (11pp), May 2013. X. Chen, E. Pomerantseva, K. Gregorczyk, R. Ghodssi, and G. Rubloff, "Cathodic ALD V2O5 thin films for high-rate electrochemical energy storage," RSC Advances, vol. 3, pp. 4294-4302, March 2013. V. Roy, M. T. Meyer, J. A. I. Smith, S. Gamby, H. O. Sintim, R. Ghodssi, and W. E. Bentley, "AI-2 analogs and antibiotics: a synergistic approach to reduce bacterial biofilms," Applied Microbiology and Biotechnology, vol. 97, pp. 2627-2638, March 2013. M. I. Beyaz, B. Hanrahan, J. Feldman, and R. Ghodssi, “Monitoring of Actuation Conditions in a Micro-Turbo-Generator,” IEEE Sensors Journal, vol. 8, pp. 2937-2943, August 2013. A. Brown, L. Naves, X. Wang, R. Ghodssi and J. Culver, “Carboxylate Directed in Vivo Assembly of Virus-Like Nanorods and Tubes for the Display of Functional Peptides and Residues,”Biomacromolecules, vol. 14, no. 9, pp. 3123-3129, July 2013. M. Beyaz, B. Hanrahan, J. Feldman, and R. Ghodssi, “An Integrated Permanent-Magnet Microturbogenerator Supported on Microball Bearings,” Journal of Microelectromechanical Systems, vol. 22, no. 3, pp. 794-803, June 2013. G. F. Payne, E. Kim, Y. Cheng, H. C. Wu, R. Ghodssi, G. W. Rubloff, S. R. Raghavan, J. N. Culver, and W. E. Bentley, "Accessing Biology's Toolbox for the Mesoscale Biofabrication of Soft Matter," Soft Matter, vol. 9, pp. 6019-6032, June 2013. H. Ben-Yoav, P. Dykstra, W. E. Bentley, and R. Ghodssi, "A microfluidic-based electrochemical biochip for label-free diffusion-restricted DNA hybridization analysis," Biosensors and Bioelectronics, vol. 38, pp. 114-120, May 2012. K. Gerasopoulos, E. Pomerantseva, M. McCarthy, A. Brown, C. Wang, J. N. Culver, and R. Ghodssi, "Hierarchical Three-Dimensional Microbattery Electrodes Combining Bottom-Up Self-Assembly and Top-Down Micromachining," ACS Nano, vol. 6, no. 7, pp. 6422-6432, June 2012. E. Pomerantseva, K. Gerasopoulos, X. Chen, G. Rubloff, and R. Ghodssi, "Electrochemical performance of the nanostructured biotemplated V2O5 cathode for lithium-ion batteries," Journal of Power Sources, vol. 206, pp. 282-287, January 2012. Y.W. Kim, S. E. Sardari, M. T. Meyer, A. A. Iliadis, H. C. Wu, W. E. Bentley, and R. Ghodssi, "An ALD aluminum oxide passivated surface acoustic wave sensor for early biofilm detection," Sensors and Actuators B: Chemical, vol. 163, pp. 136-145, March 2012. S. A. Holmstrom, T. H. Stievater, M. W. Pruessner, D. Park, W. S. Rabinovich, J. B. Khurgin, C. J. K. Richardson, S. Kanakaraju, L. C. Calhoun, and R. Ghodssi, "Guided-mode phonon-polaritons in suspended waveguides," Physical Review B, vol. 86, No. 165120 (5pp. ), October 2012. M. McCarthy, R. Enright, K. Gerasopoulos, J. Culver, R. Ghodssi and E.N. Wang, "Biotemplated hierarchical surfaces and the role of dual length scales on the repellency of impacting droplets,”Applied Physics Letters, vol. 100, no. 263701 (5pp.) June 2012. J. Terrell, T. Gordonov, Y. Cheng, H. Wu, D. Sampey, X. Luo, C. Tsao, R. Ghodssi, G. Rubloff, G. Payne and W. Bentley, “Integrated Biofabrication for Electroaddressed In-Film Bioprocessing,” Biotechnology Journal, Vol 7, No. 3, pp. 428-439, March 2012. X. Chen, E. Pomerantseva, P. Banerjee, K. E. Gregorczyk, R. Ghodssi and G. W. Rubloff, “Ozone-based Atomic Layer Deposition of Crystalline V2O5 Films for High Performance Electrochemical Energy Storage,” Chemistry of Materials, Vol 24, pp. 1255-1261, January 2012. P. Dykstra, V. Roy, C. Byrd, W. E. Bentley, and R. Ghodssi, "Microfluidic Electrochemical Sensor Array for Characterizing Protein Interactions with Various Functionalized Surfaces," Analytical Chemistry, vol. 83, pp. 5920-5927, 2011. M. T. Meyer, V. Roy, W. E. Bentley, and R. Ghodssi, "Development and validation of a microfluidic reactor for biofilm monitoring via optical methods," Journal of Micromechanics and Microengineering--Special issue: MEMS in Biology and Medicine, vol.21, no. 054023, (10pp. ), May 2011. X. Z. Fan, N. P. Siwak, and R. Ghodssi, "An adaptive feedback circuit for MEMS resonator,"Journal of Micromechanics and Microengineering, vol. 21, pp. 045008 (10pp), March 2011. X. Chen, K. Gerasopoulos, J. Guo, A. Brown, R. Ghodssi, J. Culver, C. Wang, “High rate performance of virus enabled 3D n-type Si anodes for Lithium-ion batteries,” Electrochimica Acta, vol. 56, No. 14, pp. 5210-5213, May 2011. Y. Liu; X-W. Shi, E. Kim, L. M Robinson, C. K Nye, R. Ghodssi, G. W Rubloff, W. E Bentley, G. Payne, “Chitosan to electroaddress biological components in lab-on-a-chip devices,” Elsevier Editorial System for Carbohydrate Polymers, Special Issue: Chitin Chitosan Science vol. 84, No. 2, pp. 704-708, March 2011. E. Dechaumphai, Z. Zhang, N. P. Siwak, R. Ghodssi, and T. Li, "Resonant frequency of gold/polycarbonate hybrid nano resonators fabricated on plastics via nano-transfer printing,"Nanoscale Research Letters, vol. 6, pp. 90-97, January 2011. X. Chen, K. Gerasopoulos, J. Guo, A. Brown, C. Wang, R. Ghodssi and J. N. Culver, "“A Patterned Silicon Anode Fabricated by Electrodeposition of Si on a Virus Enabled 3-dimensional Current Collector," Advanced Functional Materials, vol. 21, No. 2, pp. 380-387, 2011. S. T. Koev, P. H. Dykstra, X. Luo, G. W. Rubloff, W. E. Bentley, G. F. Payne and R. Ghodssi, "Chitosan: an integrative biomaterial for lab-on-a-chip devices," Lab on a Chip, vol. 10, , pp. 3026-3042, October 2010. K. Gerasopoulos, X. Chen, J.N. Culver, C. Wang, and R. Ghodssi, "Self-assembled Ni/TiO2 nanocomposite anodes synthesized via electroless plating and atomic layer deposition on biological scaffolds," Chemical Communications, vol. 46, pp. 7349-7351, August, 2010. X. Chen, K. Gerasopoulos, J. Chuo, A. Brown, C. Wang, R. Ghodssi, and J. Culver, "Virus-Enabled Silicon Anode for Lithium-Ion Batteries," ACS Nano, vol. 4, No. 9, pp. 5366-5372, September 2010. S. T. Koev, W. E. Bentley, and R. Ghodssi, "Interferometric readout of multiple cantilever sensors in liquid samples," Sensors and Actuators B: Chemical, vol. B146, issue 1, pp. 245-252, April 2010. K. Gerasopoulos, M. McCarthy, and R. Ghodssi, "Biofabrication methods for the patterned assembly and synthesis of viral nanotemplates," Nanotechnology, vol. 21, no. 055304 (11pp. ), February 2010. C. M. Waits, M. McCarthy, and R. Ghodssi, "A Microfabricated Spiral-Groove Turbopump Supported on Microball Bearings," Journal of Microelectromechanical Systems, vol. 19, no. 1, pp. 99-109, February 2010. R. Fernandes, X. Luo, C. Tsao, G. F. Payne, R. Ghodssi, G. W. Rubloff, and W. E. Bentley, "Biological nanofactories facilitate spatially selective capture and manipulation of quorum sensing bacteria in a bioMEMS device," Lab on a Chip, issue 10, pp. 1128-1134, February 2010. Y. Liu, E. Kim, R. Ghodssi, G.W. Rubloff, J.N Culver, W.E Bentley, and G.F. Payne, “Biofabrication to build the biology–device interface,” Biofabrication, vol. 2, no. 022002 (21pp. ), June 2010. X. Yang, E. Kim, Y. Liu, X.-W. Shi, G.W. Rubloff, R. Ghodssi, W.E. Bentley, Z. Pancer, and G.F. Payne, “In-Film Bioprocessing and Immunoanalysis with Electroaddressable Stimuli-Responsive Polysaccharides,” Advanced Functional Materials, vol. 20, No. 10, pp. 1645-1652, April 2010. S. T. Koev, R. Fernandes, W. E. Bentley, and R. Ghodssi, "A Cantilever Sensor With an Integrated Optical Readout for Detection of Enzymatically Produced Homocysteine," IEEE Transactions on Biomedical Circuits and Systems, vol. 3, no. 6, pp. 415-423, December 2009. M. McCarthy, C. M. Waits, M. I. Beyaz, and R. Ghodssi, "A rotary microactuator supported on encapsulated microball bearings using an electro-pneumatic thrust balance," Journal of Micromechanics and Microengineering, vol. 19, no. 094007 (7pp. ), August 2009. L. A. Mosher, C. M. Waits, B. Morgan, and R. Ghodssi, "Double-Exposure Gray-scale Photolithography," Journal of Microelectromechanical Systems, vol. 18, no. 2, pp. 308-315, April 2009. M. I. Beyaz, M. McCarthy, N. Ghalichechian, and R. Ghodssi, "Closed-loop control of a long-range micropositioner using integrated photodiode sensors," Sensors and Actuators A: Physical, vol. 151, pp. 187-194, April 2009. M. McCarthy, C. M. Waits, and R. Ghodssi, "Dynamic Friction and Wear in a Planar-Contact Encapsulated Microball Bearing using an Integrated Microturbine," Journal of Microelectromechanical Systems, vol. 18, no. 2, pp. 263-273, April 2009. P. Dykstra, J. Hao, S. T. Koev, G. F. Payne, L. Yu and R. Ghodssi, "An optical MEMS sensor utilizing a chitosan film for catechol detection," Sensors and Actuators B: Chemical, vol. B138, no. 1, pp. 64-70, April 2009. Nathan Siwak, Xiao Zhu Fan, Dan Hines, S. Kanakaraju, Neil Goldsman, and R. Ghodssi, "Indium Phosphide MEMS Cantilever Resonator Sensors Utilizing a Pentacene Absorption Layer," Journal of Microelectromechanical Systems, vol. 18, no. 1, pp. 103-110, February 2009. X.-W. Shi, C.-Y Tsao, X. Yang, Y. Liu, P. Dykstra, G. W. Rubloff, R. Ghodssi, W. E. Bentley and G. F. Payne, “Electroaddressing of Cell Populations by Co-Deposition with Calcium Alginate Hydrogels,”Advanced Functional Materials, vol. 19, No. 13, pp. 2074-2080, May 2009. S. T. Koev and R. Ghodssi, "Advanced interferometric profile measurements through refractive media," Review of Scientific Instruments, vol. 79, no. 9, pp. 093702(1-7), September 2008. K. Gerasopoulos, M. McCarthy, E. Royston, J.N. Culver, and R. Ghodssi, "Nanostructured nickel electrodes using the Tobacco mosaic virus for microbattery applications," Journal of Micromechanics and Microengineering, vol. 18, no. 10, no. 104003 (8pp. ), September 2008. N. Ghalichechian, A. Modafe, M. Beyaz, and R. Ghodssi, "Design, Fabrication, and Characterization of a Rotary Micromotor Supported on Microball Bearings," Journal of Microelectromechanical Systems, vol. 17, no. 3, pp. 632-642, June 2008. B. Morgan, and R. Ghodssi, "Vertically-shaped Tunable MEMS Resonators," Journal of Microelectromechanical Systems, vol. 17, no. 1, pp. 85-92, February 2008. X. Luo, D. L. Berlin, S. B. Buckhout-White, R. Ghodssi, and G. W. Rubloff, “Design Optimization for BioMEMS Studies of Enzyme-controlled Metabolic Pathways,” Biomedical Microdevices, vol. 10, No. 6, pp. 899-908, December 2008. X. Shi, Y. Liu, A. T. Lewandowski, L-Q. Wu, H-C. Wu, R. Ghodssi, G.W. Rubloff, W. E. Bentley, and G. F. Payne, “Chitosan Biotinylation and Electrodeposition for Selective Protein Assembly,” Macromolecular Biosciences, vol. 8, No. 5, pp. 451-457, May 2008. A.T. Lewandowski, H. Yi, G. F. Payne, R. Ghodssi, G. W. Rubloff, and W. E. Bentley, “Towards Area-Based In Vitro Metabolic Engineering: Assembly of Pfs Enzyme onto Patterned Microfabricated Chips,”Biotechnology Progress, Vol 24, No. 5, pp. 1042-1051, April 2008. X. Luo, A. T. Lewandowski, H. Yi, G.F. Payne, R. Ghodssi, W. E. Bentley, and G. W. Rubloff, “Programmable Assembly of a Metabolic Pathway Enzyme in a Pre-packaged Reusable BioMEMS Device,” Lab on a Chip,, vol. 8, No. 3, pp. 420-430, March 2008. A. T. Lewandowski, H. Yi, X. Luo, G. F. Payne, R. Ghodssi, G. W. Rubloff, and W. E. Bentley, "Protein Assembly onto Microfabricated Devices through Enzymatic Activation of Fusion Pro-tag,"Biotechnology and Bioengineering, vol. 99, No. 3, pp. 499-507, February 2008. The Ohio State faculty member will conduct fundamental studies vital to future radio-frequency reconfigurable communication systems. In latest development, the researchers have miniaturized the platform and are able to control it through wireless signals. The researchers will combine applied microbiology with engineering disciplines to explore the complex interactions between flexible sensors, bacterial biofilms, and bioelectric treatment. The MEMS Materials and Processes Handbook has had more than 71,500 chapter downloads since its publication in 2011. An electric vehicle charger innovation takes home top honors for Invention of Year. The paper culminates a four-year collaboration among Clark School, IBBR and University of Maryland School of Medicine researchers.